I was gonna start this blog by talking about the Winter Apocalypse that never came, but I’m afraid I might jinx myself. Technically, the storm system isn’t really out of the area yet, and I have a weekend road trip happening in the morning that cannot be ruined. And I know the second I laugh in the face of Mother Nature who veered a little too far north is the same second she yanks out her earrings and pops off her Lee Press-Ons and declares a cat fight. But I am no good at fighting. The closest I got was in 6th grade when I slapped a girl in the ear. IN THE EAR. Trust me when I say any street cred I might’ve had up to that point = instantly revoked. Never mind the fact I was Spelling Bee Champion of 1987 or that one of my prized possessions was my notebook full of fashion descriptions of every outfit Janet and Chrissy wore during reruns of Three’s Company. Or that I used to purposefully step on cow patties cuz I didn’t know cow patties were made of poop. I was a very strange and sheltered child, you might say. But my point – I know, you forgot there was one – is that I have also forgotten my point so we’re just gonna move on to the polish before something else stupid slips out. This very well could be the elusive Winter Apocalypse we were talking about (oh yeah, my point! ), except this is one you’d actually want. I love the look of these and how the range goes from icy to deep. 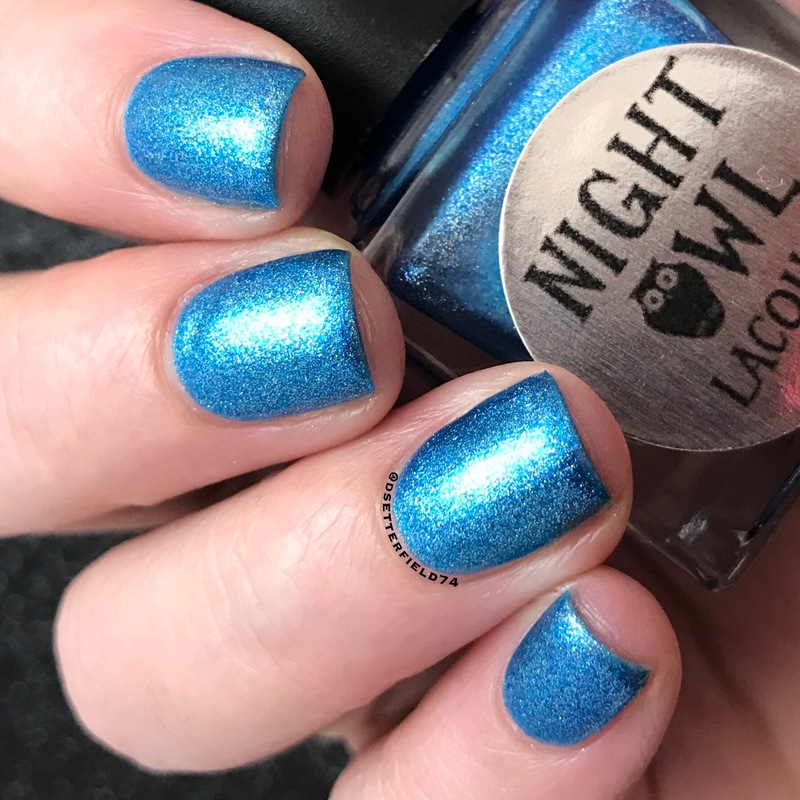 If you’re a blue lover, you’re gonna wanna pass out for just a second. Now FOCUS. Cuz here we go! Isn’t this absolutely dreamy? Like it might be made out of literal dreams. It’s elegant and so fresh and clean. 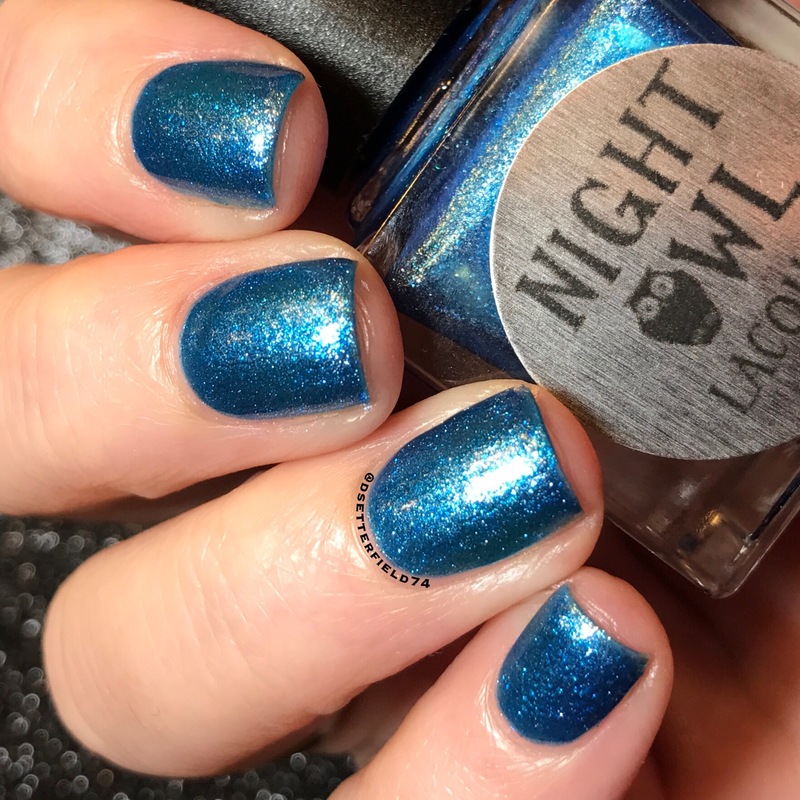 And if you find yourself having tea with the Queen – as happens to most of us, probably – you can wear this polish and be proud. With pinkies up, of course. 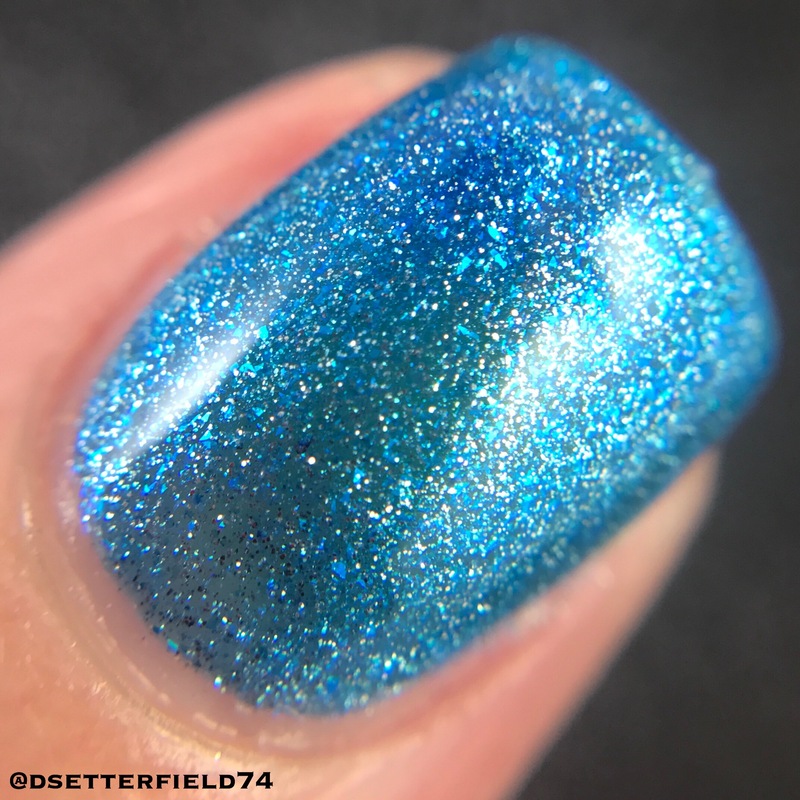 This one has a white crelly base with this amazing, glowy bright blue shimmer with bright blue micro glitter and shreds. I did three thin coats, but could’ve stopped at two if I did them thicker. The formula here is nice and smooth. Crellies can be so iffy at times, but Lindsay knows her stuff. 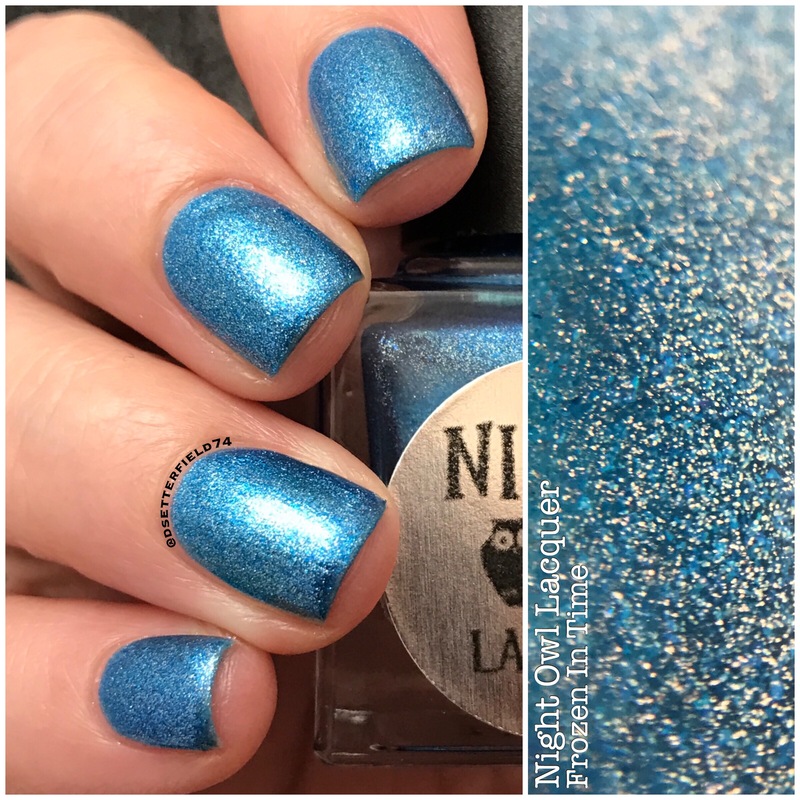 Plus, that blue shimmer just kills you. 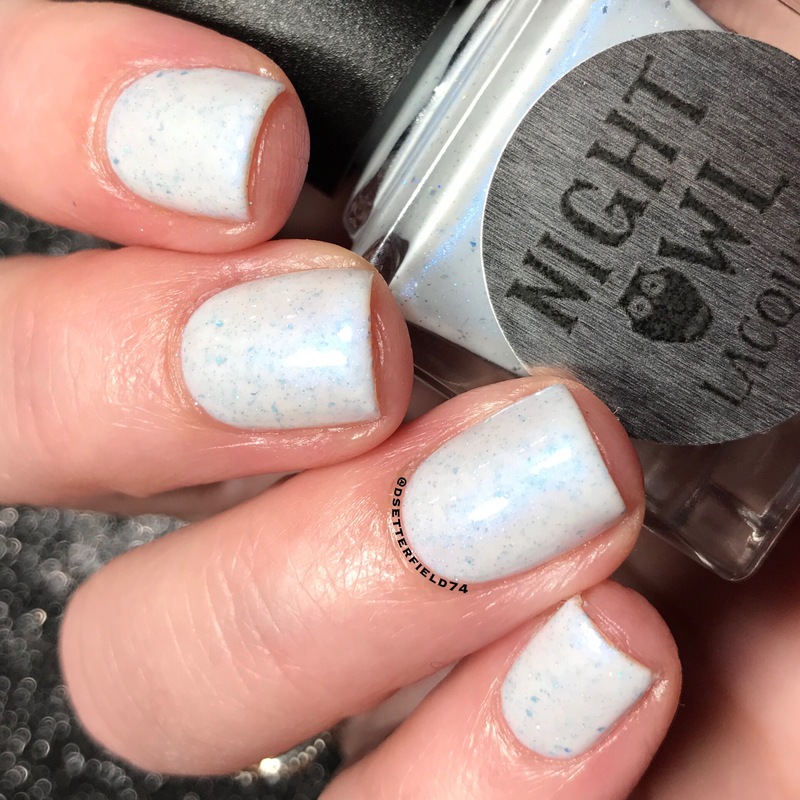 Like, you just THOUGHT it was a simple white, but then BAM! Dead. Every time. Gah! So pretty. 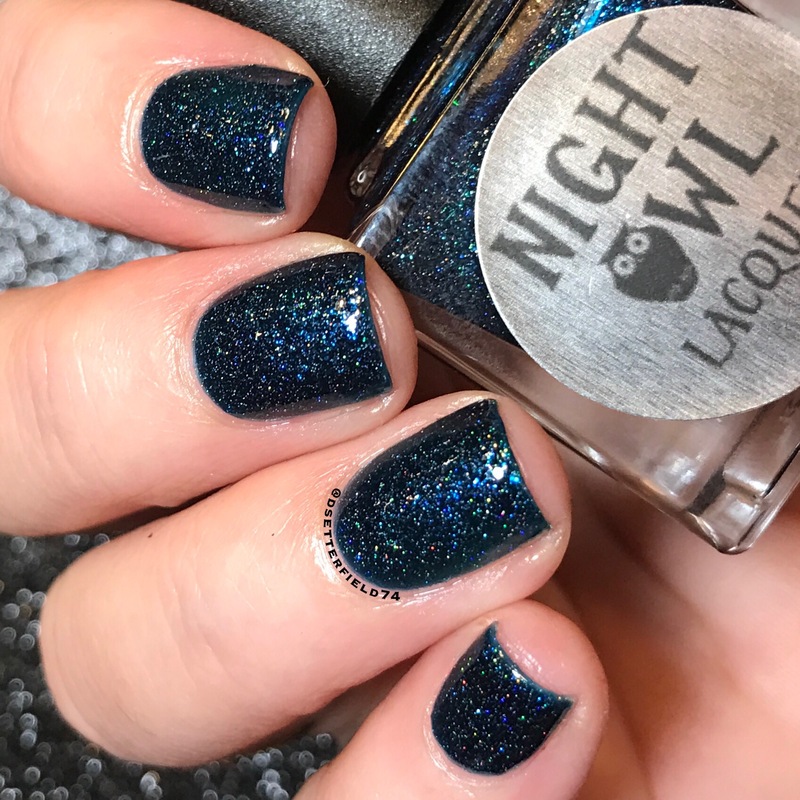 This polish makes me infinitely happy. Aaaaahhhhh! Let’s give a little toot toot! for this one, shall we? 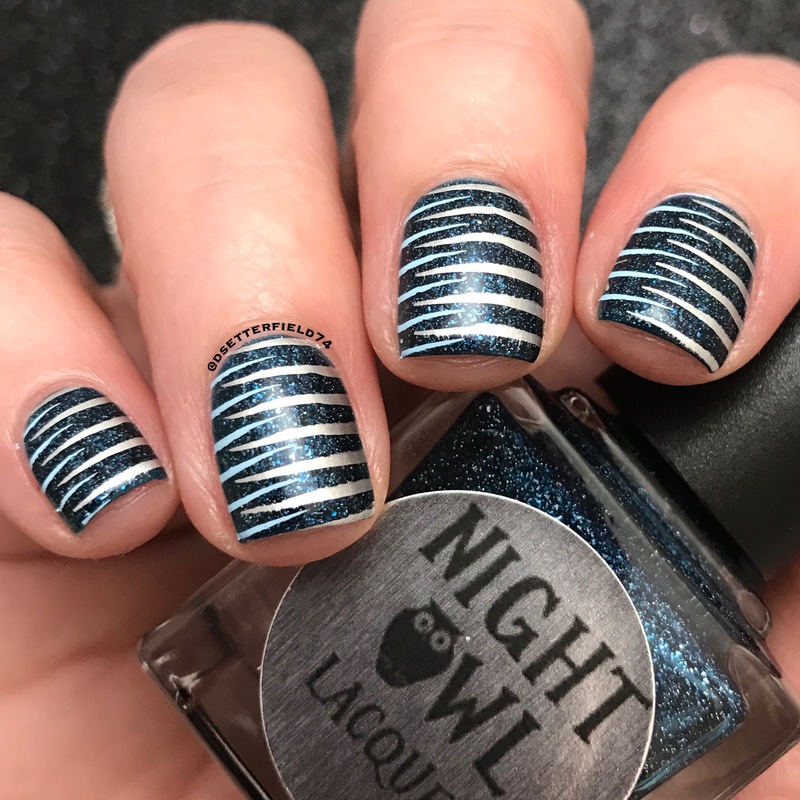 I used some cool slanted lines vinyls from What’s Up Nails, and they turned out so crisp. Not sure if it was luck or Baby Jesus, but either way, I WIN. Okay, now it’s just getting ridiculous. Lindsay, did you just voodoo this one into being or what? It’s magical perfection. Seriously, I’m gonna need a minute to collect myself. A Starbucks and a massage should do the trick. And like one of those pillows that’s as big as your body. Welp, you’re buying all these. I’ve already decided. Ugh, I just read the part about the cow patties to my husband, and then he took off his wedding ring and handed it to me. He doesn’t understand about the no-TMI rule in here. I mean, if you can’t throw in a random poop story every once in a while, what is the point of this blog? I ask you, WHAT IS THE POINT? More good nail art. Who am I?! I double stamped an image from the Lina 4 Seasons-Winter 01 plate. I think they’re snowflakes, could be asterisks. I’m var var tired right now, and hubby is blasting music in the other room cuz he thinks it’s helping me blog. IT’S NOT. Hands down. Favorite. 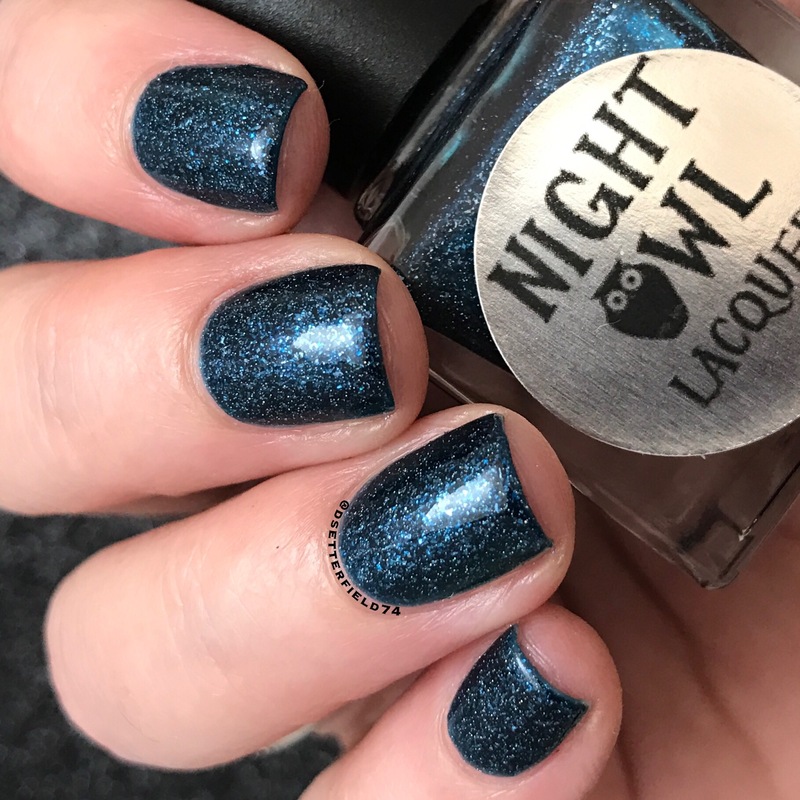 Love me some dark polish, man. This one is crazy deep and just mesmerizing to me. Like an infinite galaxy or a fathomless ocean. Or some other fancy poetic thing. But look at it. I mean, open your eyes real big and look at it. No blinking. 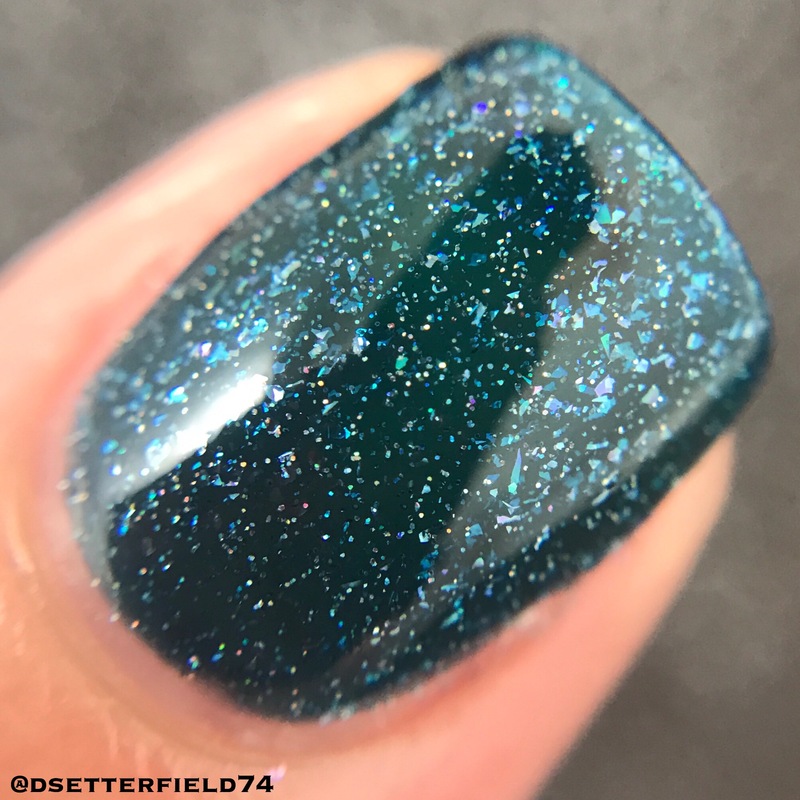 This one has a blackened blue jelly base with scattered holo and silver white shifting flakies. 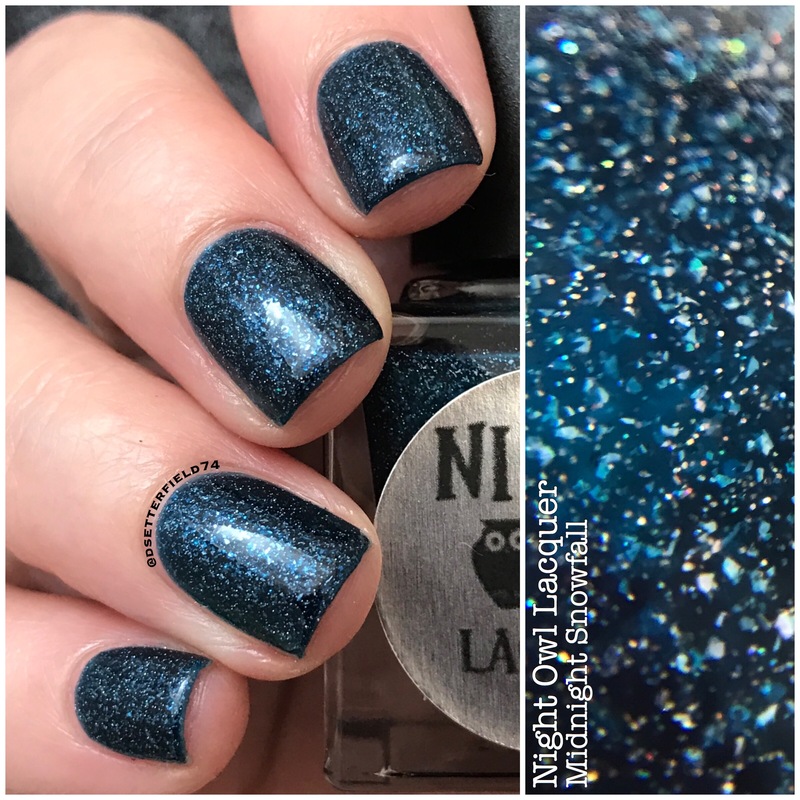 Two things I love here: jelly polish and flakies. The effect, well, there’s nothing like it. If you ever catch me looking down at my nails smiling like an idiot, chances are I’m wearing a jelly. 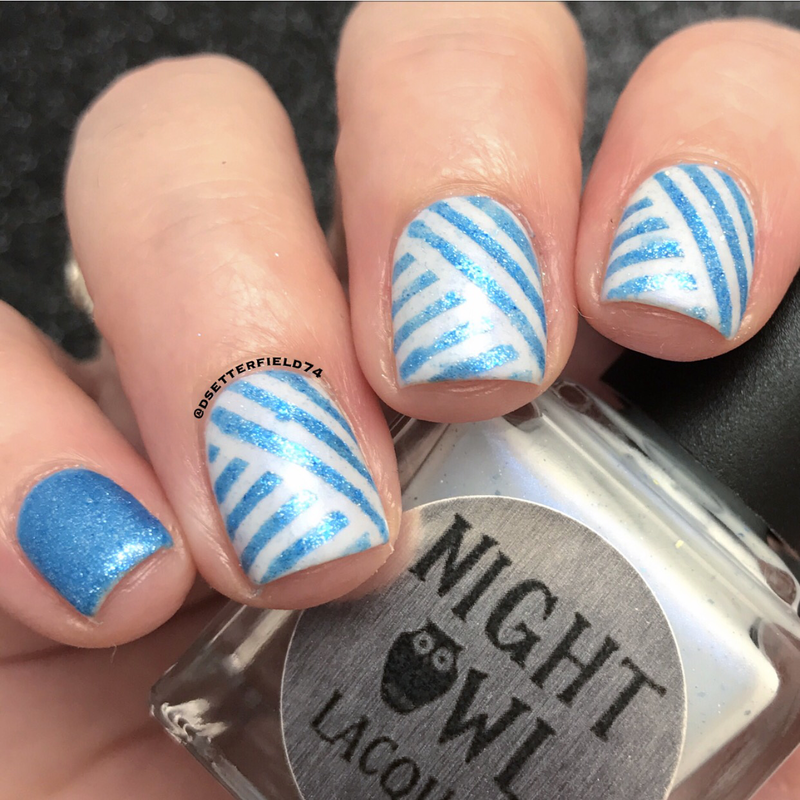 This is such a simple stamping design, but I stinkin’ love it! I used an image from the Lina Feeling Shapely 07 plate and stamped silver in one direction and blue in the other. So technically I made a thing and I’m feeling a bit more confident in my skills. I mean, the feeling is temporary cuz that’s how my life works. But still. I’m just gonna revel in this while I can. Entire trio is $25, but you can buy a single color for $9 each. They just released about an hour ago, so what could be more easy? Just click here and get to it. Then go rest; you’ve had a successful day. But wait! There’s a discount code. But you gotta be a member of the fan group to get it. Click here – it’s free. And we love free things; oh yes we do. 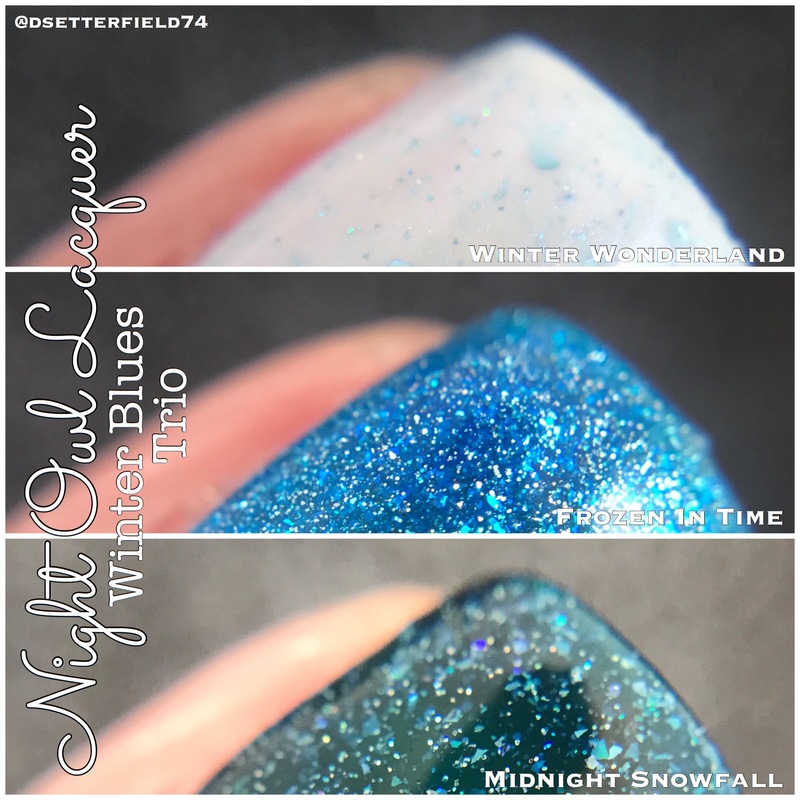 Once you’re in, click on the Winter Blues Trio Release event and you’ll find the code. Lastly, Lindsay has added a Create Your Own Collection option to the store. You can choose 6 polishes (excluding Limited Edition) for $50. I think it’s a great way to get some pretties and save a bit of money. Click here for the listing. And if you need recommendations, I’m full of them, so let me know in the comments. Okay, I’m headed to the nail table (aka, kitchen table) to do some polishing before bed. I know I said I was tired, but if the option is nails or sleep, the answer lately seems to be nails. I may fall asleep at my desk for many micro seconds throughout the day, but that point is and will forever be moot. Hahaha, and with that poop story (and your husband’s subsequent removal of the wedding ring), this has just become my most favorite blog. You make me laugh with every post and I thank you for that! 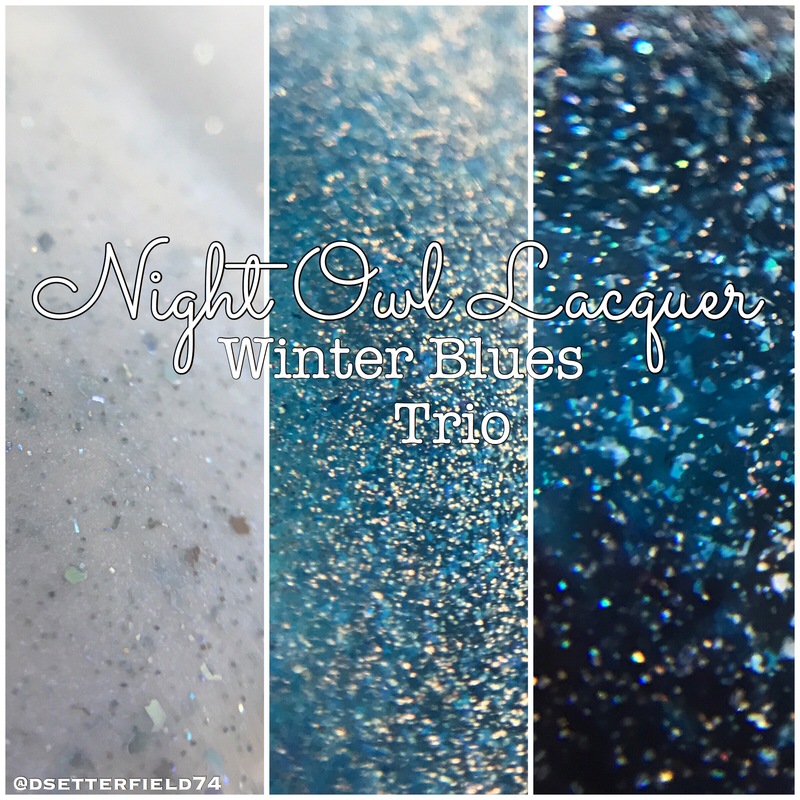 Plus, your swatches are dreamy (aka, costing me money I don’t have)! 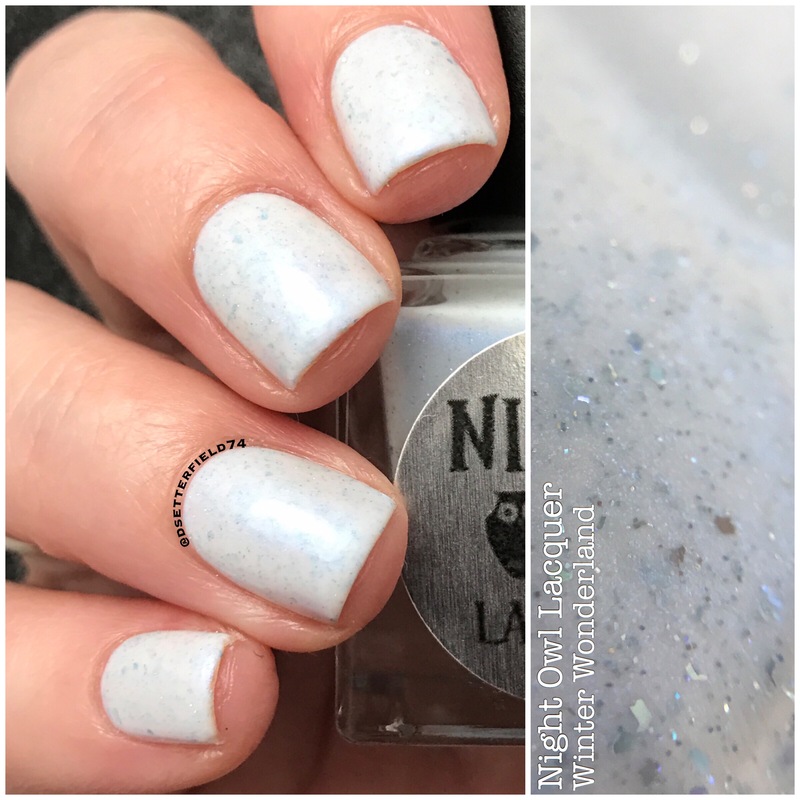 I love the snowflake look! Thank you! I liked that one too. 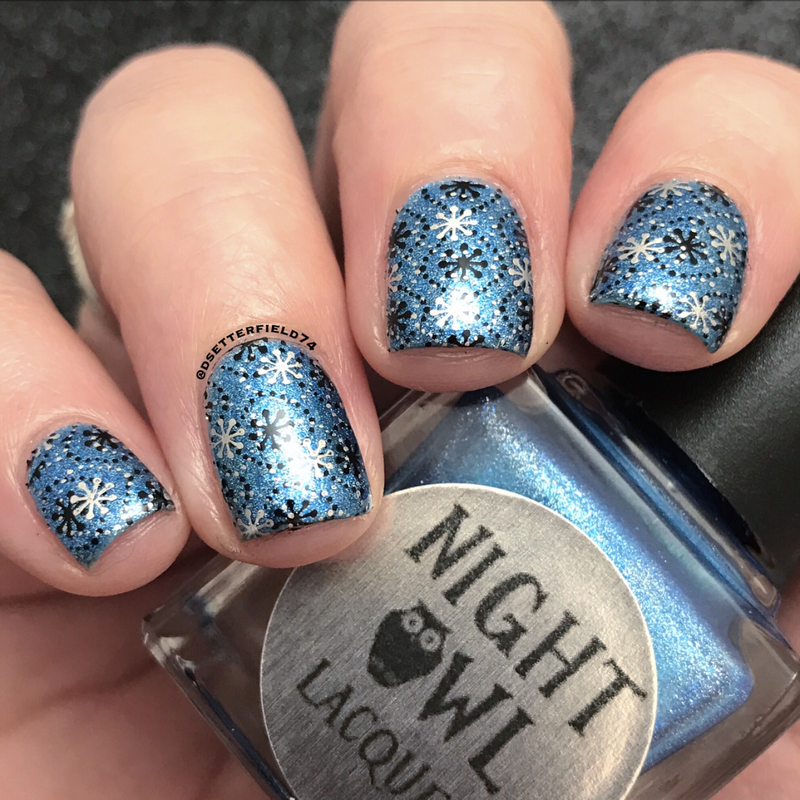 Finally, a decent nail art attempt!